Home > Blog> Fashion>Why choose a Made in Italy bag? Original Tuscany strongly believes in the strengths that Made in Italy represents all over the world, because "Made in Italy" it's not just a guarantee of where a bag comes from, but it is a philosophy! 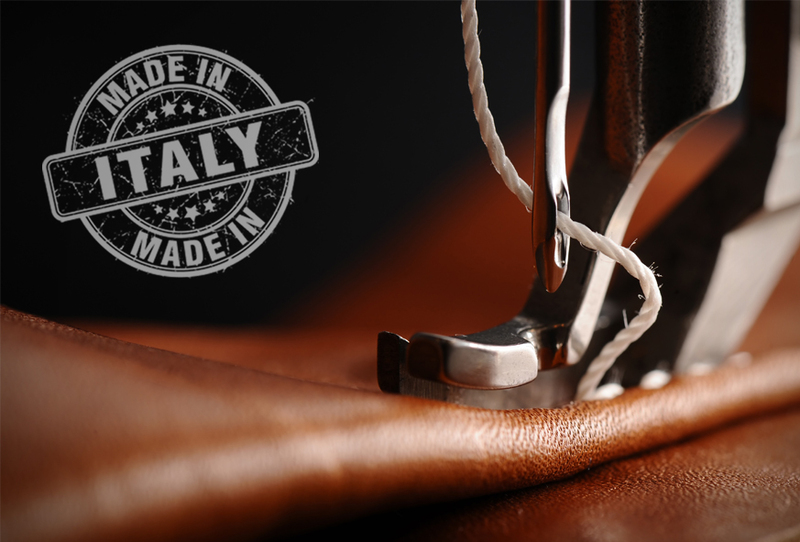 Buy a ‘Made in Italy’ handbag of genuine leather, worked in Tuscany that represents the leather district ‘par excellence’, means choose the perfect combination of the characteristics that a quality bag should have. A bag entirely designed, made and crafted in Italy is the synthesis of a certified product, unique, differentiated from the others for the curacy of the details and the quality of the leather. The excellence of the leather worked in Tuscany is perceived by touch and smell, but it is also seen in the workmanship of leather. This excellence is built day by day by the work of Italian artisans who put passion and enthusiasm into what they do. The Original Tuscany bags are not the classic bags that follow only the seasonal trends, but we want to give you a choice that represents "the icing on the cake", with the unique characteristic of lasting over time, resisting not only temperatures and bad weather but also and above all to changes in fashion, remaining an object with a timeless elegance. The style of our Original Tuscany bags comes from far away, it’s to transmit through a product a part of the Tuscan culture that generate a sober and authentic style, without excess, with no-frills, but a product that finds its prestige in the quality, the resistance and authenticity. These are bags designed to evolve with those who buy them. Just look at the quality of the materials! A perfection of craftsmanship. Also look at their design, time and creativity invested to create an evergreen product, which will have greater beauty over time. It is well known that the bags, whether they are for women's or men's, are one of the essential elements of fashion in any wardrobe. But mostly, the leather handcrafted bags are perfects as much to bring out an evening dress as to bring a touch of glamor to simple jeans. Along with the shoes, the bags, are one of the most important pieces that compose our style, not only for a question of aesthetics appropriate to our clothes but especially for a question of functionality to carry our personal effects ensuring the right comfort. The bags must therefore be able to bring a distinctive touch to the person who wears them and, when they are chosen, go to insert us and our personality in a particular style, for this reason Original Tuscany is at the complete service of the customer to help him choose and to give all the information necessary to understand which bag suits him best. The bags actually end up becoming an extension of ourselves and, therefore, no longer simple ornaments in which to carry keys, tricks, wallets and other personal items. For all these reasons, choosing leather, handcrafted and small bags with unique characteristics is not something to be seen as expensive, but something at the base of which we find a simple question: do you prefer quantity or quality? We prefer Quality, and personally choosing the products from our suppliers we try to make the customer perceive a story, the ingenuity and "the hands" of those who made them because the artisan does not produce all the same items as those made in series but exclusive pieces, each with its own particularity: by buying a crafted product you will hardly find someone who has an identical bag. The care, methods and techniques of production are preserved and perfected over the generations. Tuscan craftsmanship has a story to envy! Obviously the safety and quality of real Italian products costs a little more; but it is a more than correct price if you think that in addition to the workmanship and unmistakable design there are excellent raw materials of leather, carefully chosen by our craftsmen and metal accessories and details that highlight its characteristics. The price is therefore a guarantee of reliability and quality. Unfortunately, Made in Italy is increasingly the victim of many counterfeits, so we must be careful and always check the labels of origin. In conclusion, if you buy a craft product, made of genuine leather, made in Tuscany as well as having a bag that no one else will have equal, you will enhance an art form that has been handed down for generations, will support creativity and reward a talent ... Made in Italy!